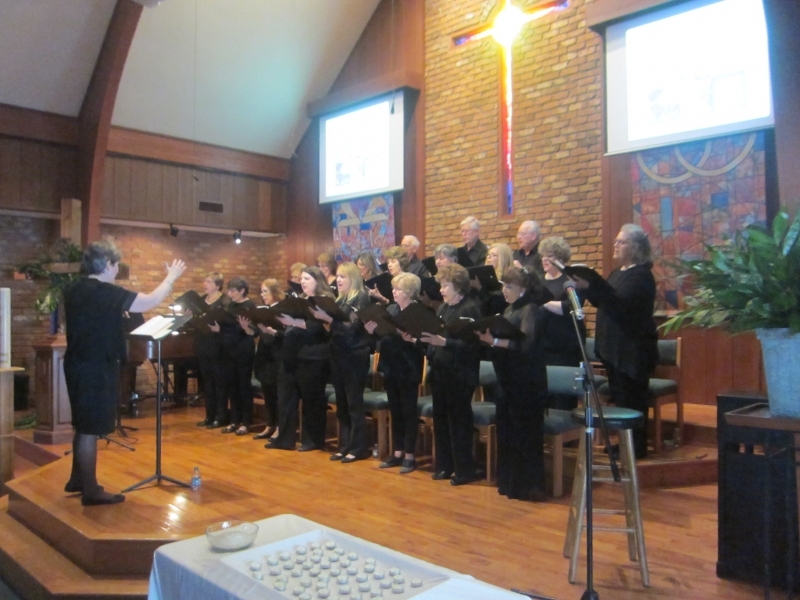 The Cashiers Community Chorus presents The Body of Christ by Pepper Choplin. The Body of Christ is an expression and theme that can represent many things throughout scripture. There is the lteral, physical body of Jesus - the feet that walked the earth, the hands that touched and healed, the voice that spoke the Word of God, an dthe head that bore the crown of thorns as Jesus was sacrificed. This body was the sacrifice that stood in intercession on our behalf so that we may be free from sin. There is also The Body of Christ that was explained by Jesus to the disciples in the upper room before he was led to be executed. This body is represented by the bread and wine, His body and His blood poured as a reminder of His sacrifice. Finally, there is The Body of christ that manifests in the church, As Jesus sacrified His own physical body, his truth and mission was passed along to those who follow him. The Body of Christ was then made manifest in the church. Jesus' feet that once walked the earth, his hands that once healed the sick, and His voice that proclaimed the Gospel have been multiplied in those who follow Him. In this work, epper Choplin beautifully weaves these themes together in this musical telling of Christ's final days. From the worshipful opener, We Behold His Glory, to the meditative and stunningly powerful path to the cross, O Sacred Journey, the importance of Christ's Body remains the center point of this work.